It’s truly amazing to be living in a time where most of us are living through a massive change in perception that’s taking place on our planet right now. This perception change encompasses many things but ultimately has to do with the opening of our minds to new concepts of reality that once did not ‘fit in’ as logical thought. This is a common theme throughout history, what was once ridiculed and scoffed at in the past eventually made its way into reality, and we’re currently seeing this when it comes to the extraterrestrial/UFO phenomenon. This phenomenon has been verified within the mainstream, and it’s no longer taboo to talk about. The field is filled with physical evidence, electrooptical evidence, witness testimony and even video footage. Many credible people with impressive backgrounds have been expressing for decades how they believe that some of these objects are extraterrestrial. Mainstream UFO disclosure is great, but anything we get from the mainstream is usually being used by the global elite in some sort of way that ultimately benefits them, which is why we must always exercise discernment and critical thinking. Our global elite could very well be in possession of, as Apollo 14 astronaut Dr. Edgar Mitchell once said, “crashed craft and bodies,” and they may also have knowledge that hasn’t been disseminated throughout the mainstream. This is quite clear from multiple whistle-blowers whose testimony is a compliment to all of the pages, videos, and other documentation that has emerged about the UFO/extraterrestrial phenomenon. One of these whistleblowers is Dr. Norman Bergrun, someone who I’ve written about multiple times. He is a mechanical engineer, and has worked for Ames Research Laboratory, NACA (National Advisory Committee for Aeronautics), and Lockheed Missiles and Space Company, now known as Lockheed Martin. He then went on to found Bergrun Engineering and Research. You can view some of his publications for NASA, where he worked for more than a decade, here. Unfortunately, he recently passed away after a very long and what must have been a very interesting life, his obituary also details his work experience. Bergrun published a book called “The Ringmakers of Saturn,” it now sells for approximately $2000, and it details how there are very large, artificially made space-crafts near Saturn, more specifically within its rings. He’s also spoken about pictures of extraterrestrials he’s seen, and how it’s common practice for NASA to airbrush unidentified objects in space from their pictures. Prior to his passing, he gave a rare interview with Project Camelot Founder, Kerry Cassidy, where he expressed the urgency regarding the disclosure of this type of information, and how “people have got to be made aware that those things are real!”. Bergrun points out that it’s these “electromagnetic vehicles”, that may have been responsible for the Tunguska Event of 1908. 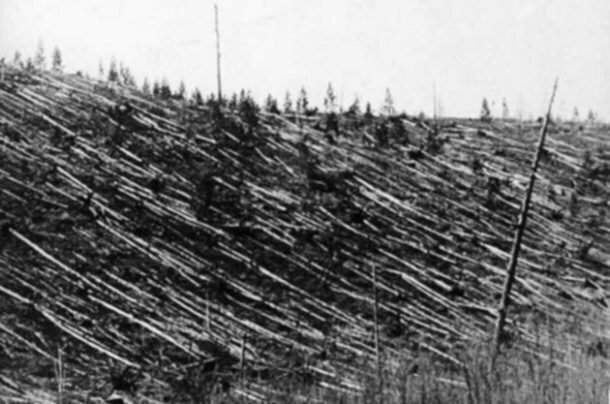 In June of 1908, a large thunderous explosion shook a large area near Tunguska, Central Siberia, USSR. Twelve hundred square miles became devastated as a result of the blast, and small villages and wildlife completely disappeared during it. A huge forest was also completely flattened, and based on his research, he was able to find 89 witness accounts of “a flamming cylindrical object” that “was sighted in the vicinity prior to the explosion.” Later research in this article shows thousands of witnesses. After all nuclear bombs had not been invented at the time of the 1908 explosion; and furthermore, they submit, there were eye witnesses. 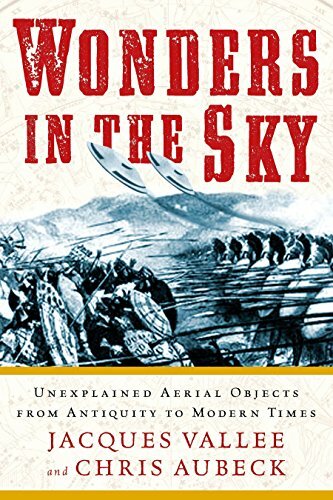 The Tunguska story affirms the existence of cylindrical vehicles and their nuclear character. This affirmation is quite important in that science now harbours bona fide repeat observations of these ultra-high energy units in the solar system. A concentrated presence of them appears at Saturn, thereby introducing the interesting speculation that the planet servers as an operation base. Below is a picture of the flattened stacks of trees as a result of the event, incredible. Obviously, this was a well-known event open to interpretation, but more than 100 years after the event occurred, nobody in any field has any idea what happened here. The reports describe a fireball in the sky, larger or similar to the size of the sun, a series of explosions “with a frightful sound” followed by shaking of the ground as the earth seemed to get opened wide and everything would fall in the abyss. Terrible strokes were heard from somewhere, which shook the air. The indigenous Evenks and Yakuts believed a god or shaman had sent the fireball to destroy the world. Various meteorological stations in Europe recorded both seismic and atmospheric waves. Days later strange phenomena were observed in the sky of Russia and Europe, such as glowing clouds, colourful sunsets and a strange luminescence in the night. 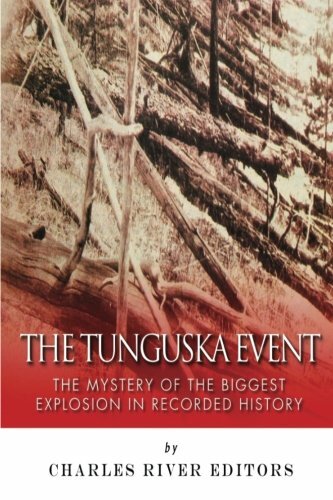 The Tunguska Event: Th... Charles River Editors Best Price: $10.04 Buy New $9.99 (as of 01:25 EDT - Details) News Paper articles shortly emerged, although media was quite young, the information was spread across the world, and they were implying that it was a possible volcanic explosion, or that a large meteorite fell from the sky. There was absolutely no evidence for either. There was no debris, no impact crater, nothing. It was clearly not a meteor, but understand that we would jump to these conclusions given our lack of ability to digest or even contemplate information that’s completely not on our radar. In this case, a possible extraterrestrial induced event, especially in 1908. It was posited by the mainstream that an extraterrestrial body (meteorite) exploded over the land causing the nuclear-like explosion, but again, no evidence at all was found to support this theory. If the theory was correct, evidence of this type of event from a meteorite would definitely have been found. It’s also remarkable that nobody died, although many animals did lose their lives, the indigenous in the area simply disappeared, at least according to Bergrun. Again, we are talking about an explosion that produced a blast that was almost 1000 times greater than the explosion at Hiroshima. Think about that for a minute. The theories don’t stop there, in 1973, American physicists proposed to the journal Nature that a small black hole had collided with earth, causing some sort of matter-antimatter reaction in earth’s atmosphere and resulting in the huge explosion observed over the Tunguska. 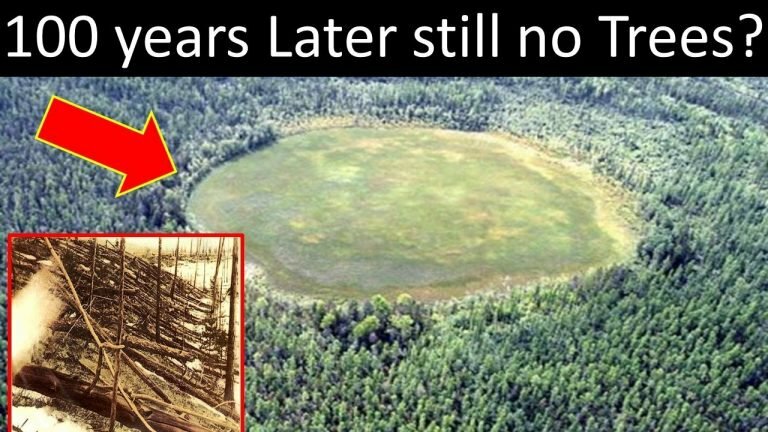 Below is a picture of the center where the explosion originated, 100 years later this area has seen no growth except for the forest surrounding which has begun to grow again. We are getting closer to the truth and in 2004, Phys.org suggested that researchers trace the possible trajectory of the object seen in the vicinity on that day. They assumed that the object had flowed from West to East, unlike previous missions who considered the East to West direction. This approach allowed researchers to find a buried object within the covered trees. During a press conference in Krasnoyarsk, Dr. Yuri Lavbin, the head of the above mentioned last expedition, confirmed that parts of an extraterrestrial device had been discovered. All in all, this theory matches closely with Bergrun’s assertion, but Bergrun is coming from a background where he is privy to more information than mainstream scientists. He is a black budget scientist. 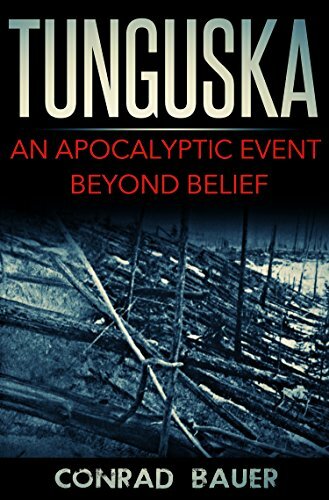 Tunguska: An Apocalypt... Conrad Bauer Check Amazon for Pricing. Another study from the 70s by Hitoshi Yonenobu from the College of Education, Naruto University of Education collected a living spruce tree from near the explosion center of the event. They measured annual ring width and studied anatomical features to reconstruct the vegetational changes caused by the biological aftereffects of the explosion. He found that the annual ring width decreased rapidly in 1908-1912, with a drastic increase in 1913. We thus reconstruct these vegetational changes in the Tunguska forest: the Tunguska explosion damaged forest trees severely for ca. 3 yr, releasing rich nutrients from burned plants into the soil, and subsequently the vegetation was stimulated to recover by decreased socio-biological competition and better lighting conditions. 014C values range from -28.2 to -1.5%o for Tunguska spruce, and from -29.7 to 12.6%o for Hinoki cypress. These fluctuations are within the ranges presented in Stuiver and Becker (1993), suggesting no evidence of anomalies of cometary origin in. Again, it’s quite clear this wasn’t a meteor. Reprinted with permission from Collective Evolution.